Location: Maryland, right next to that capital of the U.S. thing. I just really wish they brought back the gladiator. Berserker's vow is rad and my favorite ability. I also notice that there's a complete lack of any summoning-focused classes, a pretty sharp limit on magically-focused classes (but for what it's worth, Zodiac I think has the most potential in the series for cool spellcasting aside from Warlock), and a similarly sharp limit on tank roles (unless Shogun or the new Hero class gets a bit more of a tweak, it's Protector or bust). Still, I could easily see myself making a cool all-stars team with one rep from each game. Maybe something like Highlander, War Magus, Zodiac, Arcanist, and Pugilist. Still, I could easily see myself making a cool all-stars team with one rep from each game. This is a great idea and I probably will, too. Hello. Can you hear me? The Hero class looks like they're ripped straight from Dragon Quest 4 and I couldn't be more enthusiastic. I wonder if they're going to keep the combo where Ninja subbing Zodiac lets you give the other 4 party members infinite TP. Summoners don’t really play well with subclassing. In 3, particularly, you had your normal classes and then off to the side there was Wildling, which neither wanted to divide its attention with a subclass nor was a good subclass for anyone else. Their skills are too specialized and point-intensive. On one hand, they didn't add Dancer, so it shows they at least care SOMEWHAT for balance. On the other, they added Imperial, which shows they kind of don't care that much. Wildling was actually THE subclass for any class you couldn't find a different subclass for. If you couldn't muster up the points or space for zodiac/ninja Zodiac Wildling gave the zodiac a couple of debuffs that were always useful and gave the zodiac something to do with their turn. They're the least synergistic, but it's always good to have someone dip into just for the debuffs to make your rotation a little more efficient. Hmm, do I go Ninja/Imperial for min-maxing, Farmer/Imperial for funsies, or Imperial/Princess for roleplaying? Pugilist has Overexertion, which is the same thing. I agree, it's pretty good. Overexertion is closer to Blood Surge, and the Pugilist also lacks Charge, which was the second half of why I loved Gladiator so much, but the Pugilist is also my second favorite RPG class after Gladiator and I'm glad it's getting in. Gematsu has the first details, but it's Gematsu so don't take it as gospel. I'd quote it here but it's very long. This sounds pretty cool, but at the same time I feel like I don't have enough experience with the series to truly appreciate what it's doing here. I'll probably buy it, but I also think I could just sit on it for a while. Huh, it claims that the subclassing is from EO III and IV, but they're pretty different systems. IV is much better, IV's skill trees are a thing of beauty compared to any other game in the series and the simple "half max rank" for sub-classed skills works really well. Who wished on a monkey's paw for adventurer guest artists? The farmer's fine. The medic, not so much. I'm trying desperately to affect an air of nonchalance about the pandery fan service crossover nature of this game, but then I see anything that evokes EOIII and I'm left weak-kneed on the spot. A mark to the end. Reposted here to keep everything together. One of its major elements is that some of its attacks (or at least one of them: Mirage Sword) can leave behind an after-image. This after-image fills up party slots. Starting at about ~0:23 in the video you can see how it works. It goes from a party of four people with one hero, to a party of six with three heroes (the original hero, two hero after-images, and the other three). In the video, each after image appears progressively weaker than the original. 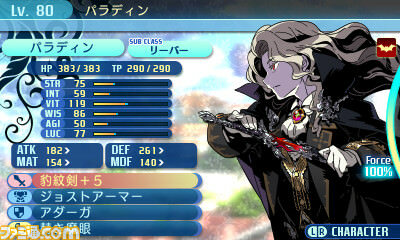 (Or, at least, it has lower and lower HP/SP, but I presume its true of other stats as well.) A force burst ability temporally increases the chance of generating after-images and increases their stats. Because it takes up party member slots, presumably an after-image focused Hero build would not play well with for example a clone focused Ninja build. edit: In this longer gameplay video, it shows the Hero also has a passive healing ability, and that after-images act on their own (you don't command them, and they don't just copy the original — they do some AI controlled thing). Last edited by estragon; 06-02-2018 at 01:04 PM. Didn't they add a summons row in EO5 to specifically avoid that problem? 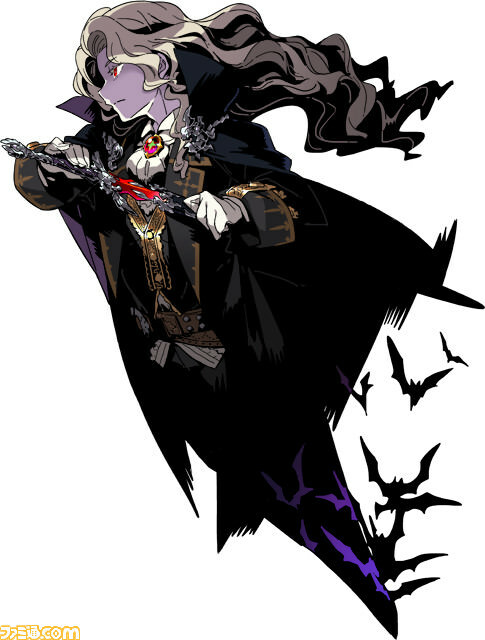 I think that's more of a design choice for how to handle the wraiths and animals in EO5, specifically. Presumably they thought party slot limitations were a better choice to balance the Hero after-images and Ninja clones. I think EO5's method was just flat better, to be honest. Yeah, summoner roles had some antisynergy with each other, but that's better than having antisynergy with another character in that slot. This goes double when your new flagship role for the all-stars game precludes having more all-stars. Oh, party slots as resource. How I've misssd you. That's great news. V's bunkers / wraiths were dumb. Western release is February 5th. Localized title will be Etrian Odyssey Nexus. Nice play on X, tbh. Excellent. Now all I need is a Persona Q2 localization and the 3DS can ride off into the sunset. 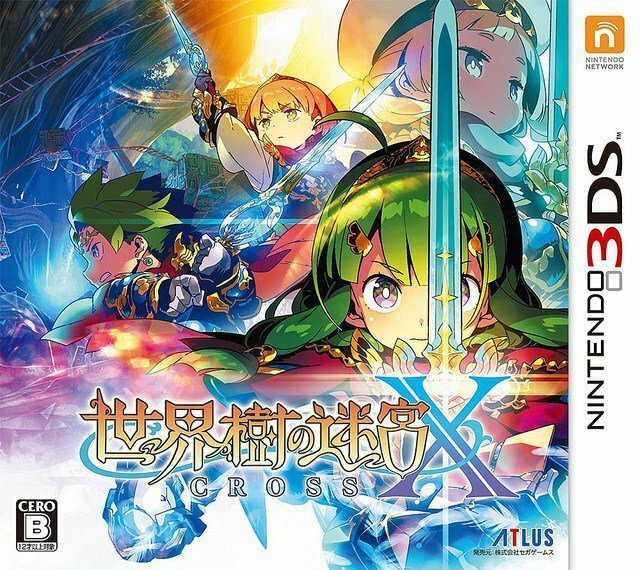 That is honestly a very clever localization choice for a title spelled "X" but read as "Cross." Not only clever, but appropriate given it's a crossover nature. Good jorb, ATLUS. atlus , etrian odyssey , etrian odyssey nexus , etrian odyssey x , even in the tags f.o.e. All times are GMT -7. The time now is 03:23 PM.